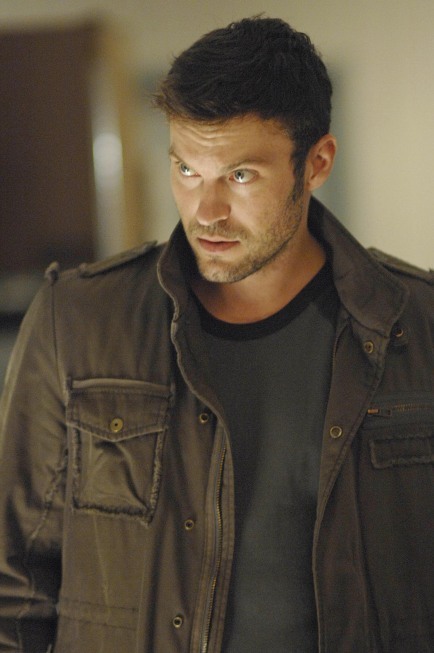 You probably remember Brian Austin Green as David Silver on the hit show Beverly Hills 90210. Since the series ended, Green has had a string of unsuccessful roles that have failed to catapult him into stardom. In fact, he's more known for his marriage to Megan Fox than he is or his acting! All this is hopefully about to change. As 90210 fans eagerly await the release of season 10, we will be able to feast our eyes on Green in prime-time. The sometimes-actor is said to be closing a deal to join ABC's Desperate Housewives in the fall. The recurring role would have Green playing Keith, a contractor who turns up the heat as a potential love interest for one of Wisteria Lanes' housewives. I doubt it will be as tumultuous as David and Donna's relationship on my favorite '90s series, but at least David Silver will be back on the silver screen.